Young Female Computer Repairer Checks A Central Unit By Lifting It. Banque D'Images Et Photos Libres De Droits. Image 111828802. Banque d'images - Young female computer repairer checks a central unit by lifting it. 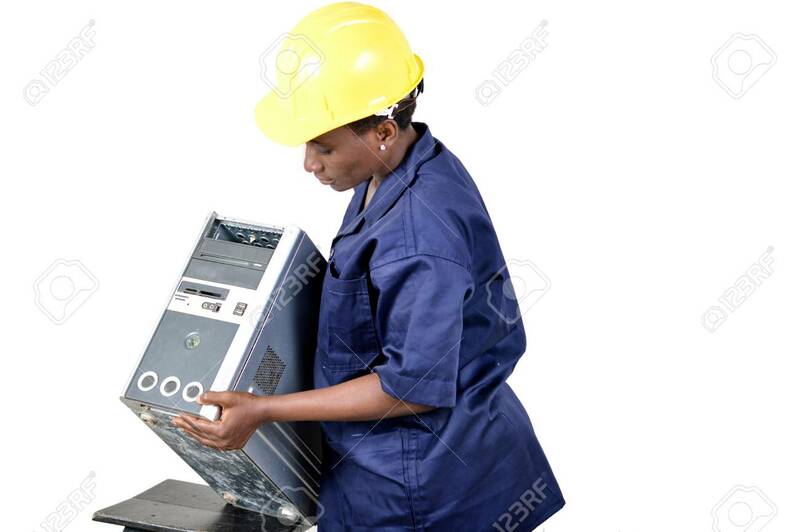 Young female computer repairer checks a central unit by lifting it.